If I have to pick out one company in Pakistan that consistently delivers great customer experience, I would pick Nayatel (http://nayatel.com) without a second thought. After having used the service for two years and interacted with their staff on numerous occasions, I believe they deserve this accolade. Nayatel is a total solution provider for your digital life – internet, digital TV and telephony being their main offer plus a host of other services like web hosting, creative development and even modern security and surveillance services – the list is a long one. For those who of you who do not live in Islamabad or Rawalpindi, Nayatel may be an unfamiliar name, but for the residents of the twin cities, it’s a way of life. What is the one thing that sets Nayatel apart from others? Their people. You first start to admire the Nayatel team when their army of staff descends on your premises to install your fiber optic service. The professionalism with which each hole is drilled and every wire clipped makes you wonder why all electricians can’t work in the same manner. While it is easy to put up an artificial smile and a fake friendly face at a customer service center, managing exceptional delivery at the level of these civil workers and electricians is not achievable, unless there is a dedicated focus by the company to do so. The frontline technical team seems to be well trained not just in technical aspects, but also in how to professionally and aesthetically do their job. This culture of professionalism extends to every other level of the customer service that you interact with over the months – that is if you ever need to. The customer service exceeds your expectations by whatever medium you contact them – email, phone or social media. I have received email responses from the support team, almost in all instances, in under an hour and sometimes in less than ten minutes. The phone support is extremely courteous and goes to all extent to address your query and resolve your problem. I once had an apparent packet loss issue with one of my apps and the time and energy the support agents spent trying to trace the data route and review any possible packet loss within my premises through the Wi-Fi, was very impressive. Many other service providers would have absolved themselves of any responsibility and simply told the customer, it was an issue at their end. Such outstanding customer experience delivery would not be possible without an exceptionally good product. In two years, the unplanned downtime has been almost nil and the planned downtime has never been in a window that bothers customers. The quality of the internet service is impeccable and even with modest bandwidth numbers of 5MBPs, the service works more smoothly than some of the 20MBPS providers in the market. I don’t recall a day when the video streaming on my Netflix or YouTube would have had any buffering issues. The last time I had hours of smooth video streaming like this was not in Pakistan! Similarly, the quality of the Cable and Digital TV has been equally good, making you admire it more when you visit anyone with a traditional cable TV service and see a galaxy of stars littered on their screen. While the list of their services is much longer, cable TV and internet remain my popular choice. To understand how Nayatel achieves this performance, a review of their company culture would be needed – perhaps a case study for some of the aspiring management students. However, I can say with certainty that this must be due to a consistent customer focused culture at every level and not by luck or chance. In a cultural environment where being polite and professional does not come naturally, for a company to consistently deliver at this high level of excellence, is indeed remarkable. 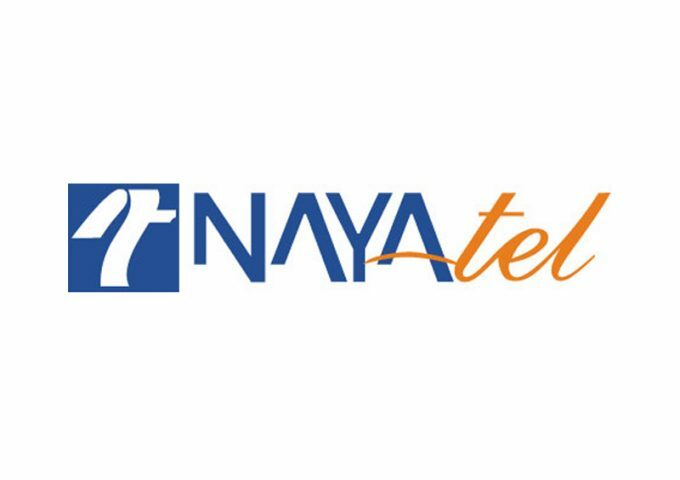 While I have voiced numerous positives, not something that comes easily to a skeptic like me, an area I would strongly suggest Nayatel to improve upon is offering higher daytime bandwidths, even if the price tag goes up a notch. To remain competitive with a host of other wireless offers, providing an option for a higher day time bandwidth, would in the longer term, continue to give them the competitive advantage. A recent alternate called Bandwidth on Demand launched by the service provider is an expensive substitute that does not serve the purpose. Nevertheless, I sure do hope the company continues to maintain its high standards while expanding their network (recently in Faisalabad) and do not slack on their services. As of now, an impressive track record and number one on my list of Pakistani companies, delivering an exceptional customer experience. The views expressed in this Blog are purely based on the author’s own experience with the service and do not represent those of any organization, including the one being reviewed. The author can be reached through the contact me page. © 2017. All Copyrights Reserved by Umer Asif. Hey Buddy!, I found this information for you: "Nayatel – Setting Exceptional Customer Experience Standards". Here is the website link: http://www.umerasif.com/blog/customer-experience/nayatel/. Thank you.